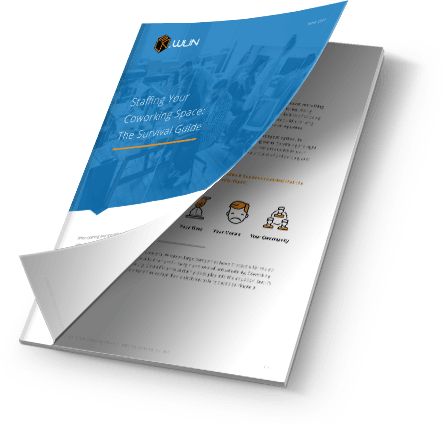 This e-book is a guide for finding the best strategies for ensuring growth and sustainability in your Coworking space. Utilizing the most recent data as well as exclusive insights from some of the most trusted names in the Coworking and shared space industry, we’ve outlined the best steps to take for the best results in profitability, marketing, and member satisfaction. Space Buildout: What is the vision of your space and what is the best way to achieve it? How can this vision differ among various parties? We outline what to look for in terms of locational, short term, and long term strategies. Strategies for Initial Investments: This chapter provides in-depth look at what investments need to be made prior to and during the opening of your space. We outline which practices in technology and advertising are most effective and beneficial. Measures for Increasing Memberships: What can you do to keep your members and, better yet, what can your members do for you? We discuss how members can be a key part of your marketing strategy.